This has been showing up all over the place. On FaceBook, etc., and this post is from Alexandra’s Galactic Connection. The videos at the end are also very impressive. There’s more to this story, I’m sure, but to me this is a visible manifestation of the Light IN-coming to the planet at this moment. 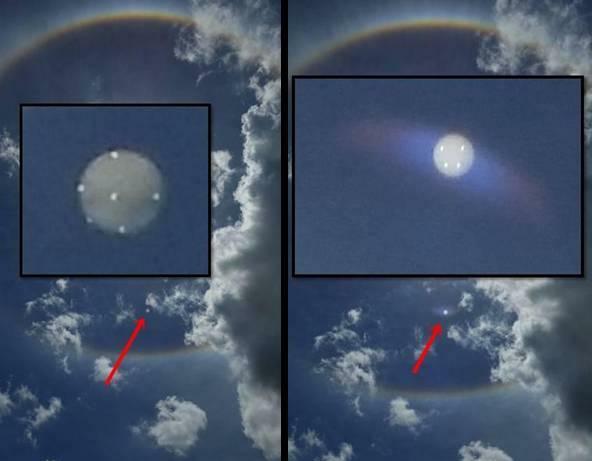 Strange Beams of Lights are seen all around the World! 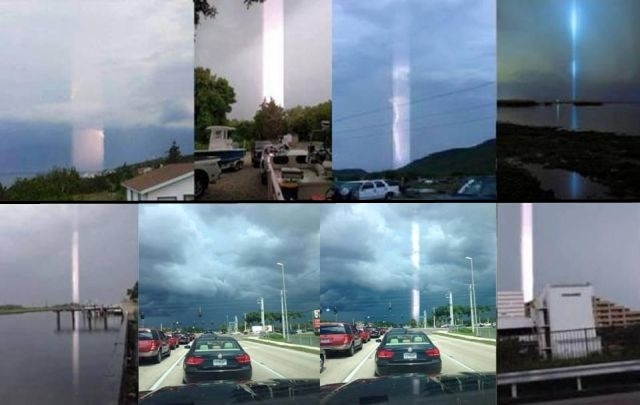 People all around the world take photos of strange beams of light. Why are they appear and what is the meaning of them? Most of these beams of light shot up from the clouds as if a battery of gigantic searchlights are searching the landscape and are identical to a vertical band of light, like the famous beam of light emanating from the peak of the Kukulkan Pyramid photographed by Hector Siliezar on July 24, 2009, while on vacation in Mexico. Could it be that the sun’s solar radiation interacts deep within the Earth’s magnetic field adhering to the planet’s magnetic lines and what we see as a beam of light are in fact the ionized particles charged from the sun’s solar wind or is there something going on? 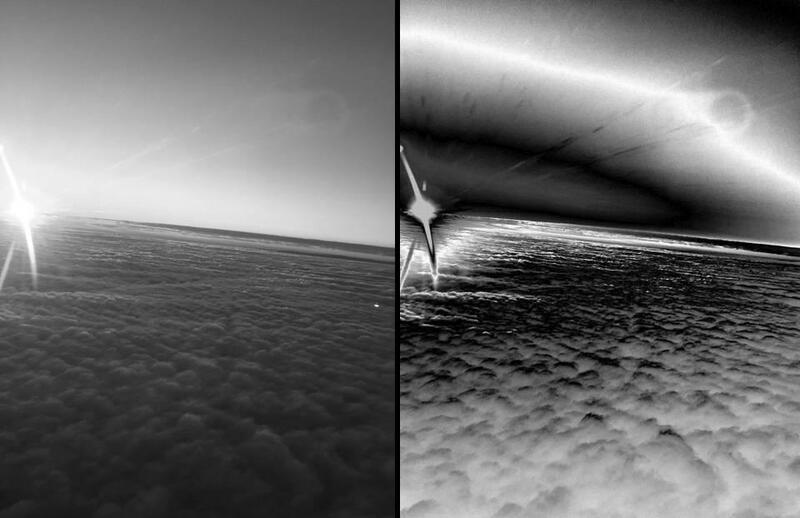 The next image of the sunrise was taken during a flight from San Francisco to Phoenix on August 17, 2015. At first glance a beautiful image of the sunrise, but there is something strange to see in this image. At first you see that the sun emits a streak of light which ends up in a circle, like a wormhole or portal. Then below the circle, in the right corner of the picture, a yellow unknown object and there is an unknown object that can be seen straight above the sun. 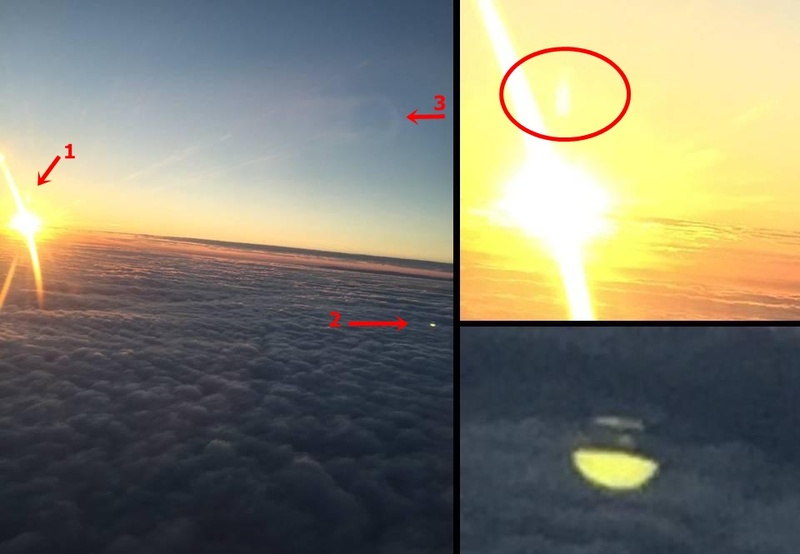 The witness stated that he was sitting in the last seat on aircraft with camera pointed towards the tail away from wings and that a pilot who sat beside him also couldn’t explain the strange objects as shown in the image. Mufon case 69495. Link to image. The unknown object above the sun is a Second Sun or a UFO that uses the Sun as a portal and the yellow object is it’s scout ship? The yellow object is not a sun flare or a reflection of the camera as sun flares/reflections are looking quite different. See image left of sun flares/reflections. Is it coincidence that all these beams and strange objects near the sun become visible in the same period and is it that alien races are responsible for the strange lights in the sky? Are they stabilizing the earth with these beams as Nibiru/Planet X is closing in? The latest large beams are photographed in South Fort Myers Florida, USA on August 15, 2015 and in Civitavecchia Italy on August 10, 2015. Gallery | This entry was posted in apocalypse, energies, new energies and tagged Beams of Light, Galactic Connection. Bookmark the permalink.